We are pleased to once again be exhibiting at the ANUGA Food Fair in Cologne, Germany. We look forward to meeting friends old and new on our stand in Hall 10.1 G018a. This year we are celebrating 25 years of organic cheese production at Lye Cross Farm, showcasing our new Non-GMO Project cheese and continuing the promotion of our PDO West Country Farmhouse Cheddar. Please see this table for staff availability. 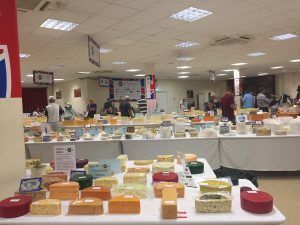 With the end of the awards season fast approaching we have had another set of brilliant results, this time from the Global Cheese Awards at Frome Agricultural Show. 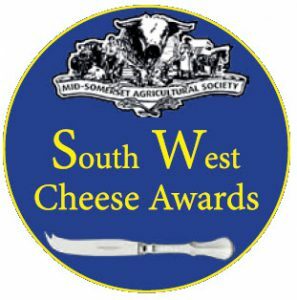 We have been awarded Gold for both Farmhouse Mature Cheddar and Farmhouse Vintage Cheddar, and our Mature Farmhouse Cheddar was also Highly Commended in the Best West Country Cheddar class. To top it all off, our Farmhouse Vintage Cheddar has been named as Best Farmhouse Cheddar. Another set of results that we can be proud of! 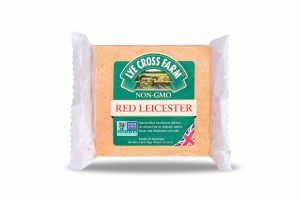 Here at Lye Cross Farm, we are proud to announce that we have launched a new range of cheeses! 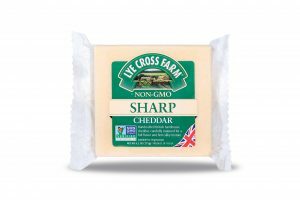 Three of our most popular cheeses have been selected and redeveloped, and are now available as Non-GMO Project Verified products – Sharp Cheddar, Red Leicester and Double Gloucester. We have changed how we farm at Regilbury, and these three products are now produced in compliance with the Non-GMO Project standard. When browsing our products, be sure to ‘look for the butterfly’ to ensure that the cheese is Non-GMO Project Verified. 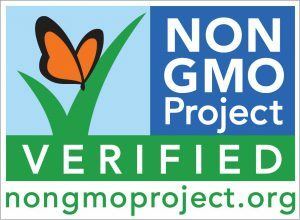 For more information about our Non-GMO Project Verified products please click here. To learn more about the Non-GMO Project visit their website. The South West Cheese Awards at the Mid Somerset Show provided us with a fantastic set of results! As well as achieving Gold for 3 of our cheeses – Farmhouse Mature, Farmhouse Extra Mature and Farmhouse Vintage – we were also awarded the Stan Ash Memorial Cup as overall winners of the Farmhouse Cheddar classes. We are incredibly pleased with these results, and are hopeful that we can continue this in to the upcoming shows. 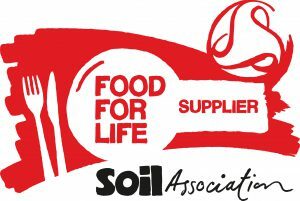 We are now part of the Food for Life Supplier Scheme. We’re proud of our commitment to local food. To find out more about our products that can now be supplied under the scheme, please contact a member of our local wholesale team. Third show of the year and our third prize! We have been lucky enough to win a bronze award for our PDO Farmhouse Mature Cheddar. This is the second award for our PDO Cheddar this year already and hopefully not the last! The Lye Cross Farm Bus Café has been awarded a Certificate of Excellence by Tripadvisor. This is a fantastic achievement, earned by consistently receiving great reviews from customers. Well done Dan and Dominic for all your hard work!!! If you have visited our Bus Café and would like to leave a review, please click here. 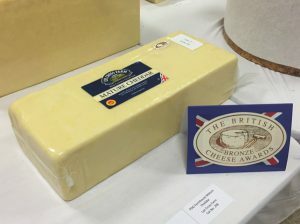 Lye Cross Farm are able to add another award to our early season success, this time from the British Cheese Awards held at the Royal Bath and West. 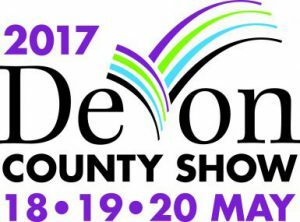 From the hundreds of cheeses entered we were selected by the judges to have won Bronze for our PDO Farmhouse Mature Cheddar. PDO stands for Protected Designation of Origin, and our cheese carries this status because it is traditionally manufactured from start to finish in the West Country. The award season for 2017 has begun, and here at Lye Cross Farm we are off to a great start! 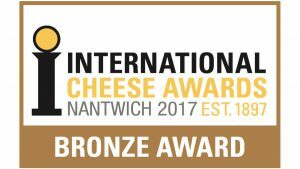 We have achieved a 3rd place with our delicious Organic Mature Cheddar. Hopefully this is the start of another successful year! Earlier this month we were fortunate to be included in a wine, meat and cheese tasting event hosted by Jill Morris, HM ambassador in Rome. Amongst other guests were HM The Prince of Wales and HRH The Duchess of Cornwall. 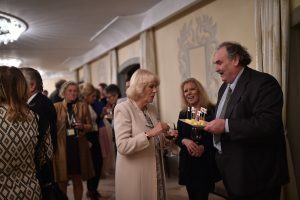 The event was designed to promote PGI (Protected Geographical Indication) and PDO (Protected Designation of Origin) food produced here in the West Country. Our Cheddar Cheese holds PDO status and it was an honour for us to be included. For more information, please read this ADHB press release. If stored at room temperature discard unused suspension after metformin 500 mg help lose weight 7..